Mercedes-Benz’s current E-Class has been on sale since the 2010 model year, and for 2014 it was given a major update. In Mercedes tradition, we’ll see the next generation of the luxurious mid-size sedan introduced for the 2017 model year. 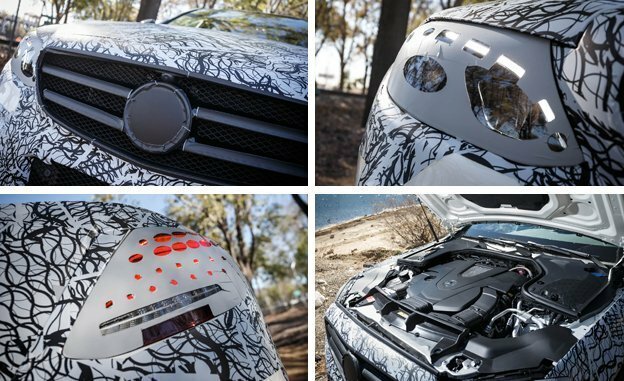 We now have more spy shots that show some prototypes for the new E-Class with barely any camouflage gear. It’s looking very handsome and, as expected, it’s also looking much like the C- and S-Class models it sits between. The new E-Class rides on Mercedes’ modular MRA platform, which debuted in the C-Class and has since made its way into the new GLC small SUV. This means the new E-Class will be lighter, more rigid and more efficient than the current one; the MRA platform makes extensive use of lightweight materials such as aluminum and can also accept alternative powertrains. Autonomous driving technology is also a key element of the MRA platform. Autonomous systems more advanced than anything we’ve seen yet on a production car will feature in the new E-Class, one of which will be a cool remote parking system. The new E-Class will also benefit from a nine-speed automatic transmission, which has already been made available on some Mercedes models. We’ve also heard that a straight-six engine will be offered. This will be a modular design, allowing it to share components and production lines with smaller four- and three-cylinder units also in the works. A similar strategy has already been employed by BMW. 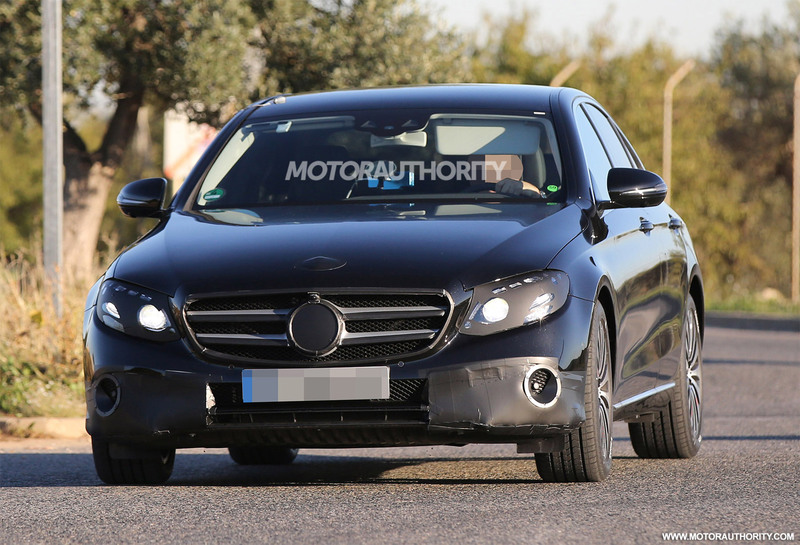 There will also be a high-performance E63 from Mercedes-AMG, which has also been spied. 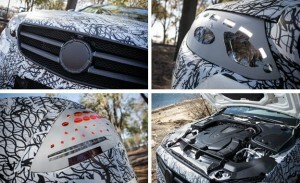 It will adopt the tuner’s twin-turbocharged 4.0-liter V-8 and have an output close to 600 horsepower. Some shots of the interior reveal an upmarket design very similar to the one in the latest S-Class. There’s a digital screen sitting at the top of the center stack and four round air vents below it. 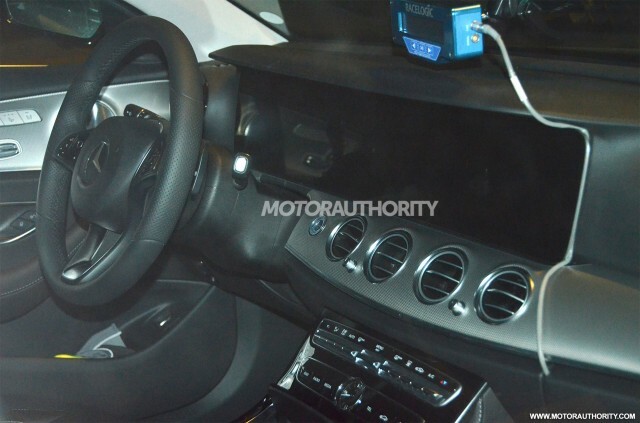 Like in the S-Class, the digital screen probably flows into the car’s main instrument cluster. 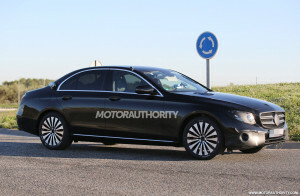 Though yet to be confirmed, though it’s looking likely given the length of this prototype, the new E-Class will have a longer wheelbase than the current one. The car is also expected to once again come in five different bodystyles: sedan, long-wheelbase sedan (possibly as a Mercedes-Maybach variant), wagon, coupe and convertible. With the latest C-Class spawning new coupe and convertible variants, designers are said to be making two-door E-Class variants much more premium than the current offerings. They should be larger and fitted with better materials, too. A third generation of the CLS is also planned; like the previous two, the new CLS will essentially be a four-door coupe version of the new E-Class. 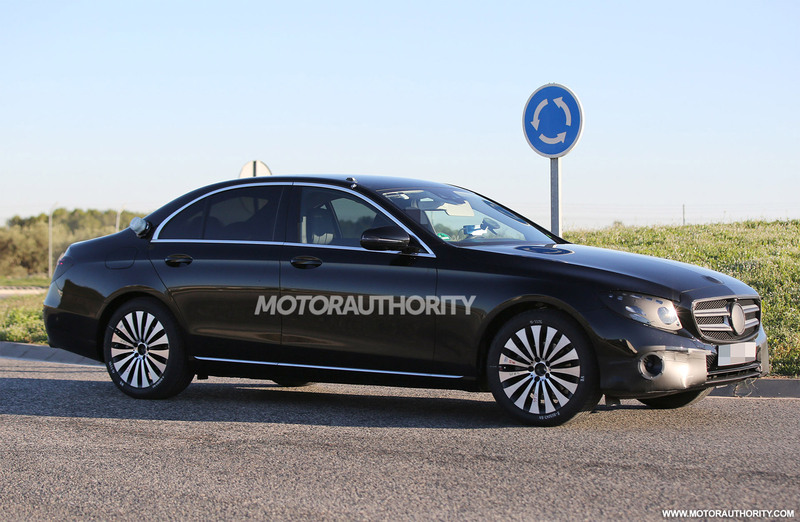 A world debut for the 2017 Mercedes-Benz E-Class is expected to take place at the 2016 Detroit Auto Show next month. Stay tuned for updates as development continues.